I can't even remember when I bought F.E.A.R. 2: Project Origin in a Steam sale, although I do remember picking it up at the same time as a big game release, which, unsurprisingly, meant I got hooked on the latter and Project Origin got lost until now in my list of Steam games. I absolutely loved the original F.E.A.R. It had everything you could ask for in an FPS; big guns, awesome graphics, a tough enemy and a few key additions that made the game fun to play and original-feeling. These were of course the slo-mo feature which was just epic in hemmed-in, The Matrix-style annihilations, where the chink, chink, BOOM!!! of a grenade finding its way into a crowd of enemy soldiers had me grinning for hours afterwards. Click to enlarge. The gore and humour are still here in abundance. For some reason, the follow-ups, Extraction Point and Perseus Mandate, didn't fill me with as much glee and wow-factor and I quickly lost interest as you do with mediocre sequels. 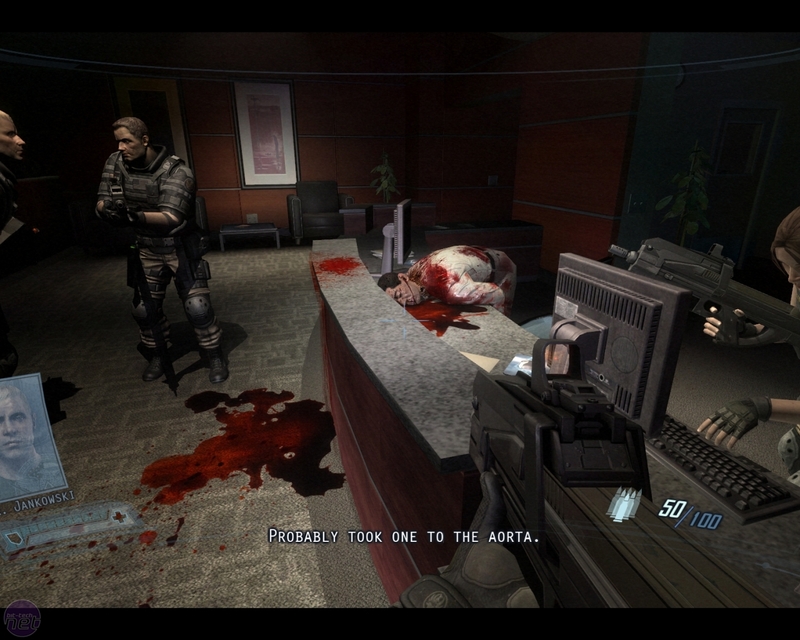 Still, the Steam sales usually represent good value so at less than a tenner, F.E.A.R. 2: Project Origin was still a good investment for a rainy day. The storyline isn't quite as gripping and horrific as the original, and sadly, the graphics don't quite push the envelope as much either, but seeing as it's now an old game, this isn't too much of an issue. In most cases they look good, but they're also lacking in other areas compared to other games that were released at the time. That said, the slo-mo effects are still fun to watch and play through and the usual blood and gore are still as messy as ever. Click to enlarge. 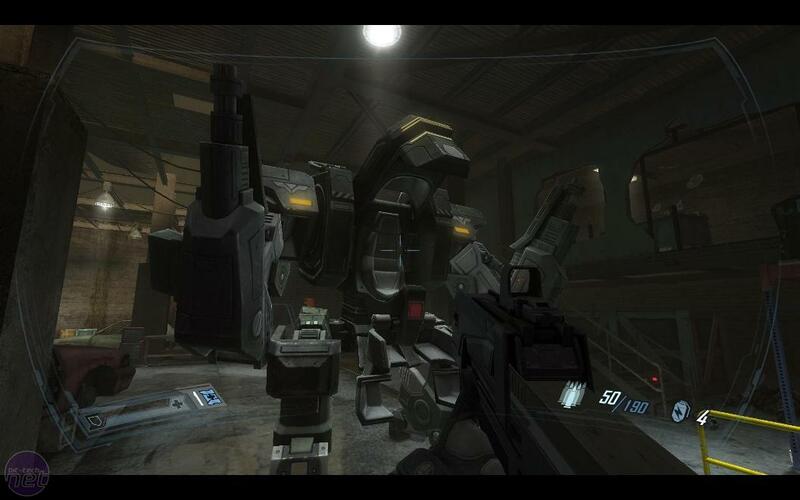 Fear 2 has another awesome addition - a mech! One thing that does add a fair bit of atmosphere is your team mates in the single player. The humour and snide remarks are often quite comical. While the same can be said for enemy combatants, not so is their reaction to firefights which is often a generic scream. Teams of solders can put up a good fight but this wasn't as fun as the original. Other aspects of combat are still very enjoyable though and you even get a mech suit - essentially a modest-sized mech machine that does wonders for your firepower. Definitely. There's enough new content and fun things to play with although like most sequels, it can be disappointing in areas where the original gleamed with awesomeness.